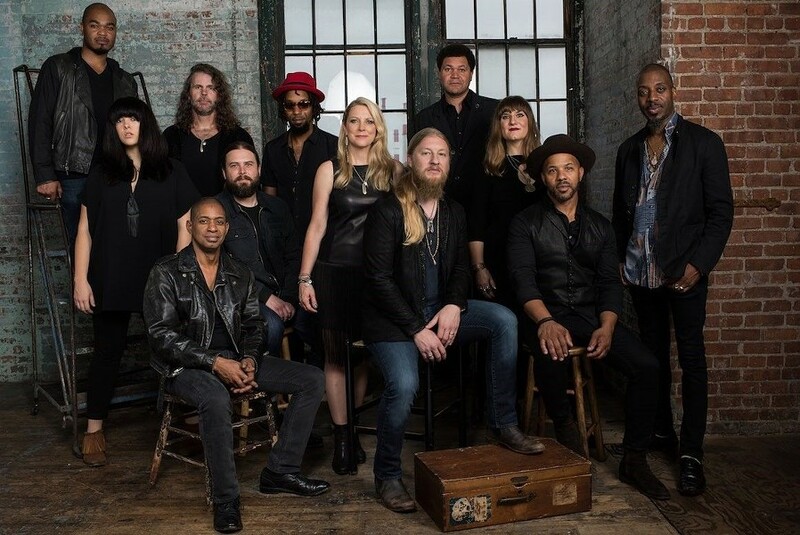 AFTER SIX relentless years of recording, touring, Grammy nominations, and wins, Tedeschi Trucks Band just struck their best year yet. 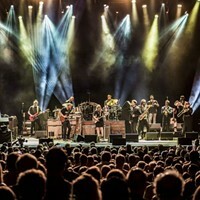 The Jacksonville band, founded by guitar hero Derek Trucks and blues/soul queen Susan Tedeschi, bid farewell to a 2016 that included a headlining slot at New Orleans Jazz and Heritage Festival, a six-night stint at New York’s Beacon Theatre, and the release of their third studio album, Let Me Get By. Heralded as one of the year’s best records, the 12-piece band’s latest LP showcases a vibrant mix of soul, electrifying blues rock, and Louisiana jazz eloquence. 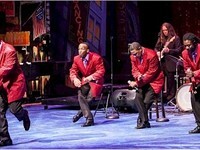 The band’s back on the road in the new year and heading to their second home of Savannah. 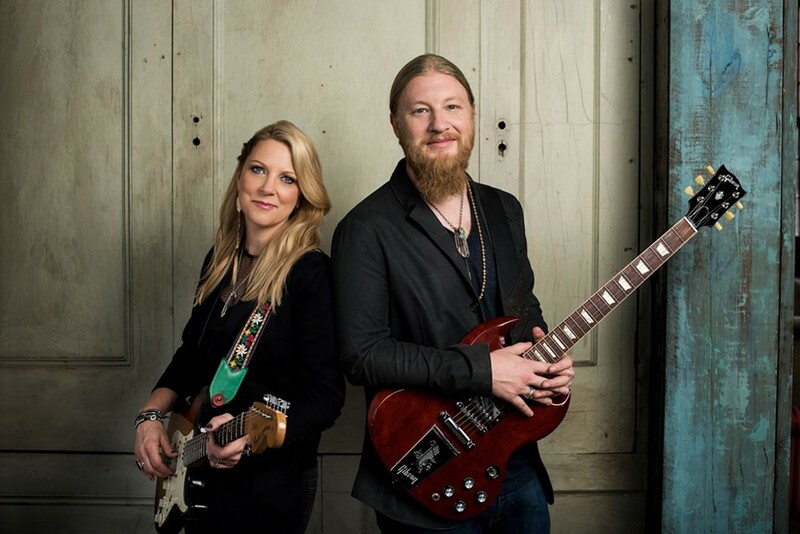 We caught up with Derek Trucks in advance of the performance. 2016 was quite the year for you! It was a busy one. It was great, it was an intense year all around but I think musically—and I think personally for the band—it was a great year. Everybody grew a lot closer together, and it was the best music we played to date. That’s all you can ask for. Are there any highlights that are the most memorable? There were quite a few. Some of the trips overseas were pretty amazing, but the West Coast run we recorded for a film and live record had some pretty great moments. I’m glad we were able to capture that and have some really great moments at the Beacon Theatre. When’s the live album due? In spring. We just finished mastering it in the last few days before we left home. We got vinyl in mail to approve and are getting down to artwork. How did you decide which show was the one to record? You keep notes as you go—there are certain songs that were really good—and originally, we were going to do a compilation of the West Coast run, but one of the nights in Oakland ended up being such a good night, top to bottom. We happened to film that night, too, and liked the idea of it being from one show, one night in Oakland. There’s a continuity and sound that carries through and makes more sense. Then it gets down to spending time mixing it and getting it the way you want it. We don’t edit it or do any overdubs like that but you do spend a lot of time. Did the audience’s presence impact your decision to use that particular take? How does that chemistry affect a live record? Sometimes that connection with audience definitely propels the band, but it really is it’s such an odd, random thing what makes a great night. With twelve people onstage, it’s a lot of energy you have to get lined up, and you never can put your finger on what makes a great show. Everyone knows it when it happens—it’s one of those mysterious things. I wish we had a better handle on how to make them all that way! That’s part of the fun. If every night was just as great, it would maybe get boring. You gotta be able to grind away. It makes the really magical ones that more special. Y’all did a lot of two and three-night residencies last year. Does that take off some of the pressures of doing a one-off show? 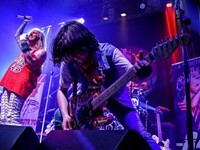 It takes pressure off of traveling and being on the move, but musically it may add pressure to the band in a good way. It forces you to dig deep, work out tunes you haven’t played before, break out tunes you haven’t played in long time. I enjoy that. We got to the Beacon Theatre and had to do six nights, each unique. It really puts the band in a good spot. You pepper in a lot of classic covers. What’s the selection process like? It’s tunes that either Susan or somebody in the band brings to the table and really loves the message of the song or something about it you think the band can add to or do it justice. It’s a fun process; with the horn section and choir, you can do about anything you want! You released Let Me Get By last year. How do you feel about it since that time has passed? I really loved making that record more than any we've made to date. We play those tunes quite a bit and they've kind of taken a life of their own. I think that's a good sign. That was a great band record, and it's definitely the template going forward, but I think it was a great way to kick off the year. I feel that's what set the band in motion—everybody had a part in the writing and creation of that record. How do you write together? We do it in stages. 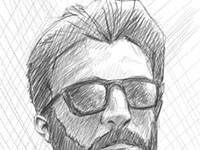 Mike Mattison will come down he and Susan and I will hash out ideas. The rhythm section will show up and start messing with some of the tunes we've been writing and we'll just play. A lot of ideas just come from setting up and throwing out ideas. It's a very creative band, there's never moment anyone's at a loss. How do you think this album is distinguished from previous Tedeschi Trucks records? I think, if anything, we wanted to capture what the band does live and what it feels like to live on the road with this band. We're starting to capture the personality of the group and individuals more and more. You have to learn to reveal those things in some way. Including every individual in a 12-person band in the writing of a record must be challenging. Without it being forced, that's the part that takes time. Certain things reveal themselves over time and you let it do its thing. The band's in a really good place that way now. When it's time for someone to step up, they'll do it. The band played its first show in Savannah. Do you remember what that show was like? Were you nervous to debut the project? I think everybody was really excited to kick it off. We'd been writing and rehearsing a lot. There were a lot of possibilities and a lot of freshness to it then. I really think it's grown leaps and bounds since then. The original idea was there but it took a while for us to really find the strength of what it could be and allow it to do that. It's always nice to check back in where it started—Savannah is like a hometown gig, being in Jacksonville, and we've got family up there. It's a good place to go back to and recheck in. 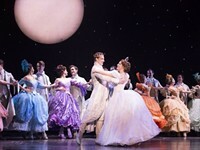 When: Sunday, January 29, 7:30 p.m.